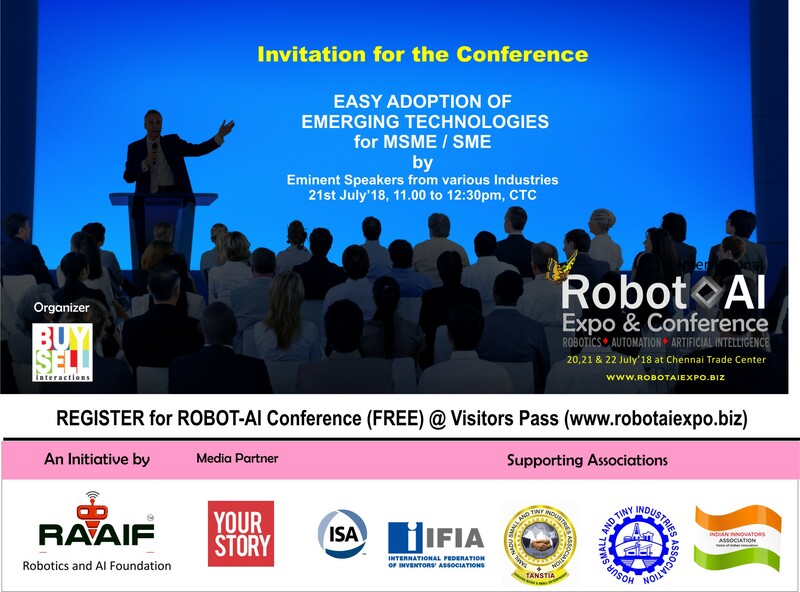 ROBOTAI is the first of its kind Expo in India, clubbing Robotics, Automation and Artificial Intelligence. The event will showcase the latest technological advances in custom automation and assembly, robotics and artificial intelligence. It is a large networking place for businessmen, entrepreneurs, investors, manufacturers, suppliers and institutional leaders at the highest level and learn about latest on-going inventions all under one roof.